Having a rhinoplasty is an exciting experience. But just as you did research and planning before going through with the procedure, you also need to take care of yourself following the procedure. 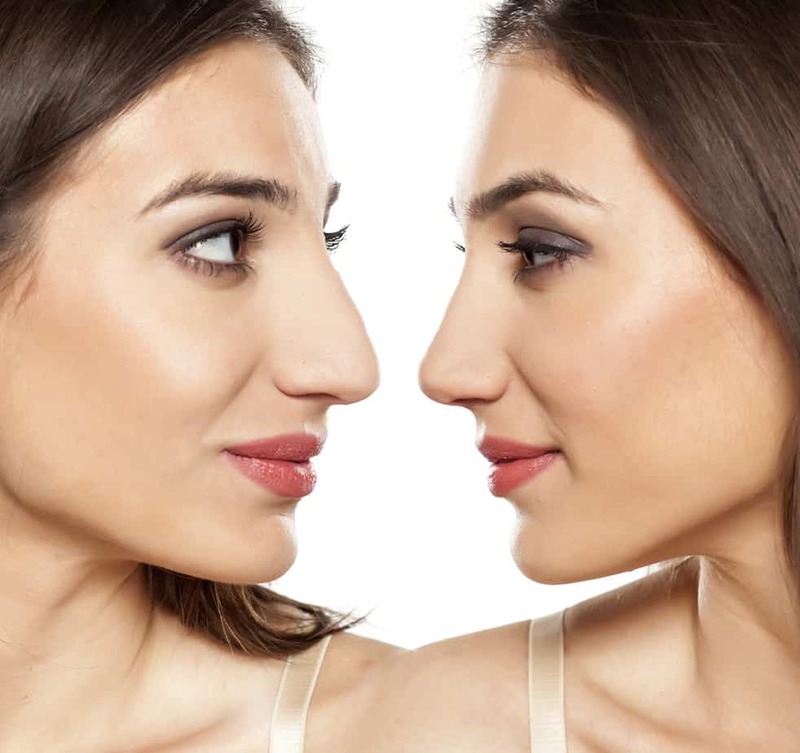 This is what you need to avoid following a rhinoplasty. If workouts are part of your daily routine, you are going to need to change your schedule. Workouts and going to the gym will need to be avoided for a minimum of two weeks following your rhinoplasty procedure. This includes weightlifting, running, elliptical, and even rigorous walking. If you are a swimmer, you will need to stay out of the pool for at least six weeks after a rhinoplasty since your nose will need to be kept dry as it heals. Contact sports should also be avoided for a month to protect your nose while it heals. Just as you need to avoid swimming, you will need to avoid taking a shower for a week following surgery, until the cast is removed. You can take a bath and use a washcloth to clean your face, keeping the nose dry. Pulling t-shirts or sweatshirts over your head for the first couple of weeks following surgery run the risk of hitting your sensitive nose and are not worth it. Wear button-up shirts instead. A rhinoplasty is performing surgery on your nose. Following the procedure, your nose is going to be sensitive and blowing your nose can cause you discomfort and irritate the tissues within your nose. You might experience some minor bleeding or discharge following surgery as your nose recovers and begins to heal. Resist the urge to put anything up your nose to help clean it out. Smoking cigarettes can actually slow down the healing process following surgery. Ideally, you should avoid smoking for 2 to 3 weeks after surgery. Just like with smoking, alcohol can be harmful during the healing process. As alcohol can thin your blood, you run the risk of excess bleeding after surgery. Additionally, alcohol can have bad side effects with any medications that you might be prescribed for your recovery. It is best to avoid alcohol for two weeks following surgery. After the cast as been removed, the skin on your nose is going to be extra sensitive to ultraviolet rays. Staying out of the sun is ideal, but you should also use a broad spectrum sunscreen to prevent any damage or discoloration. For the first couple of days following surgery, you will be in recovery from both the surgery and the anaesthesia. You should avoid heavy machinery, including driving, and avoid any kind of activities that require important decision making as your perception might be off for a day or two. If you have any concerns at all following your Rhinoplasty, you should not hesitate to call and have it addressed. While minor bruising and swelling is expected, if you are feeling symptoms that concern you, never ignore them.